Flick Power Pricing Plans - Flick Electric Co. Looking for a fixed power price and more predictable bills? Pay a steady, fixed generation price for six months at a time, with FIXIE. You'll still get supply costs - that’s metering and transmission charges, plus the Electricity Authority levy - at the wholesale rate, while your spot price stays fixed. Is FIXIE more your style? Rather not change when you do things around the home? 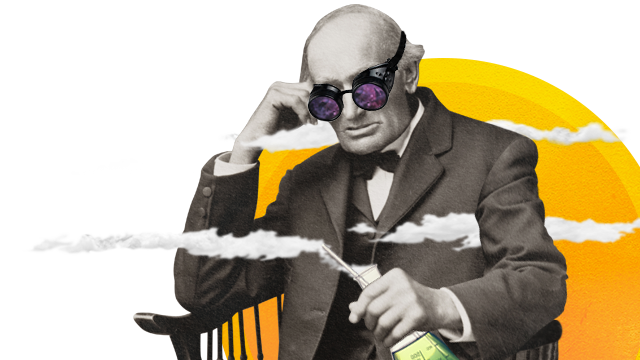 Want a predictable price that's steady throughout the day? Looking for no fixed term contracts or break fees? Happy to ride the highs and lows of the spot market to bank long term savings? With Freestyle, you've got access to wholesale power prices, which change every 30 minutes. Monitor live spot prices, use electricity when it costs you less. Freestylers saved an average $495 in the past 2 years (Dec 2018). Are you happy to change the times of day you use power? Does your budget allow for changing prices and variable bills? 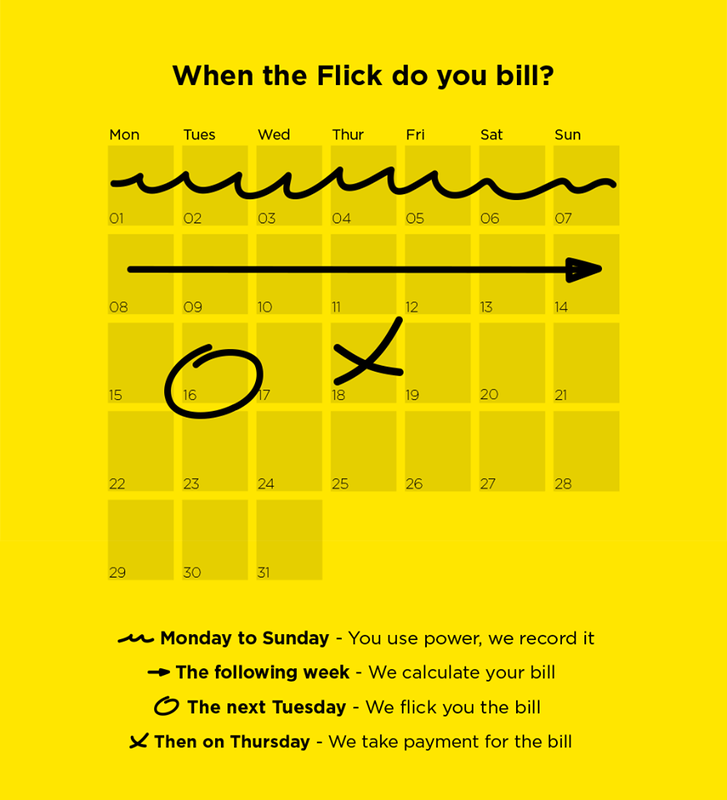 Send us a recent bill and we'll tell you what you would have paid for that same power with Flick. Will you charge me a joining fee? We don't do joining fees. It's like paying someone to be your friend: it's weird, and gets the relationship off on the wrong foot. We send you your weekly bill each Tuesday and take your payment on Thursday via Direct Debit from your bank account or Credit Card. Our billing week runs from Monday to Sunday, and we bill nine days behind. You can choose to pay your exact bill amount each week, or open a Volt and pay a regular amount each week. By paying a little more than your normal bill amount, you'll build up a wee stash of cash that you can then use to automatically knock the top off a higher than normal bill. Not too sure about the whole weekly billing thing? Lots of Flicksters actually love this approach as it really helps with budgeting and allows you to manage your usage faster. Read more about why Flick chooses to bill weekly. 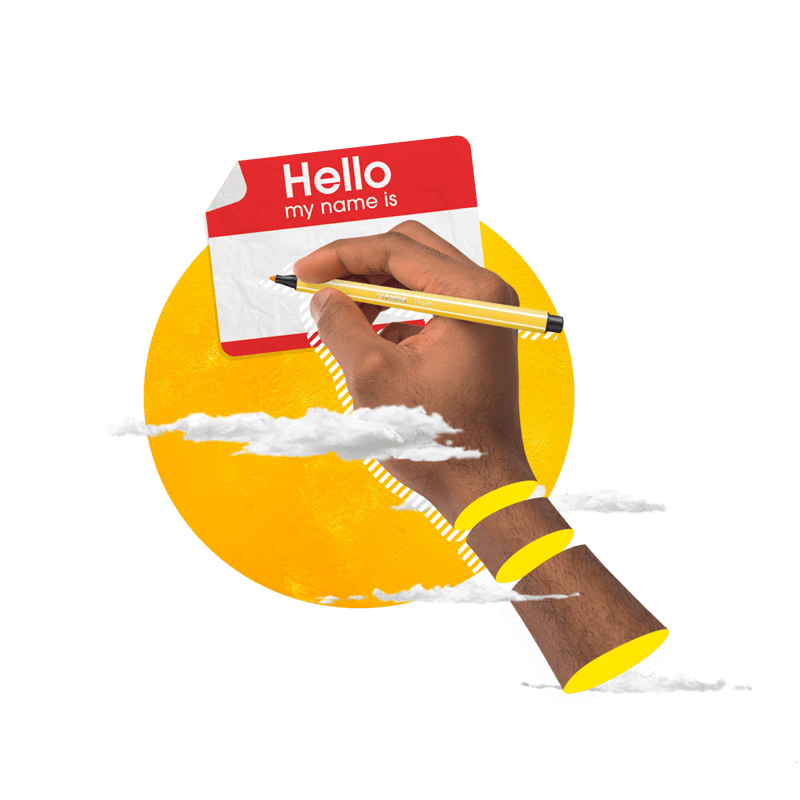 Power companies keep putting my prices up – will you? We want to give you a fairer deal on power, not sting you with price increases you can’t understand. Our prices are shown clearly on your bill alongside the other industry charges, so you can see exactly how much comes to us. If your power prices go up, it will be either because the wholesale price has risen or your charges from the network company have increased. We'll let you know if this happens – plus you'll see it on your bill (we pass network charges on to you directly). If the cost of being a retailer goes up, because of inflation and rising operational costs, we may need to increase our retailer fee. We would explain the reasons for this at the time and give you appropriate notice. If there are any other changes, we’ll let you know.